A round-trip tour from Venice that includes not one but two inspiring Alpine tours on the way from Italy to Switzerland and back. 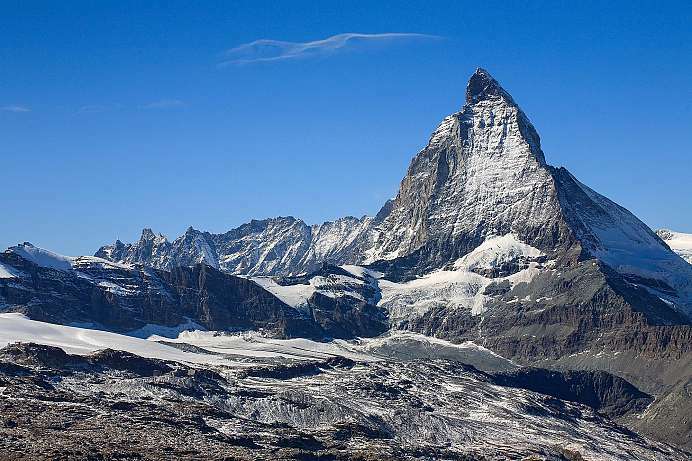 Besides Europe's highest mountain, the Matterhorn, you will stop at three beautiful lakes: Lake Maggiore, Lake Geneva and Lake Garda. The tour could easily be amended to begin and end in Zurich. 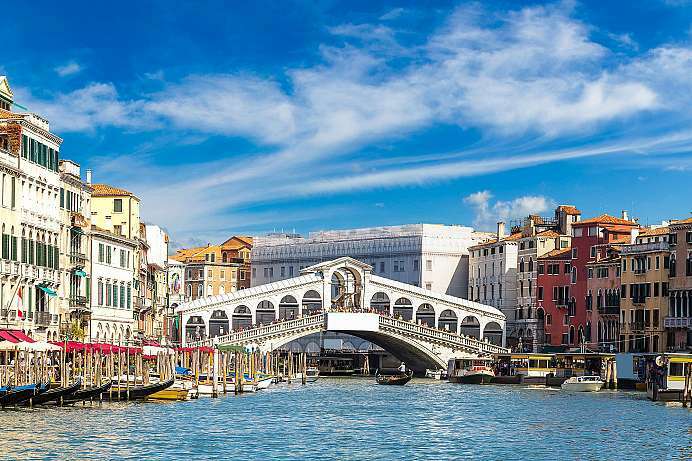 The 15th century palazzo, former residence of a wealthy Venetian family, is located in the maze of narrow streets in the heart of Venice near the Rialto Bridge. Today it houses a B&B. Each room is tastefully decorated in an individual design and partly furnished with antiques. 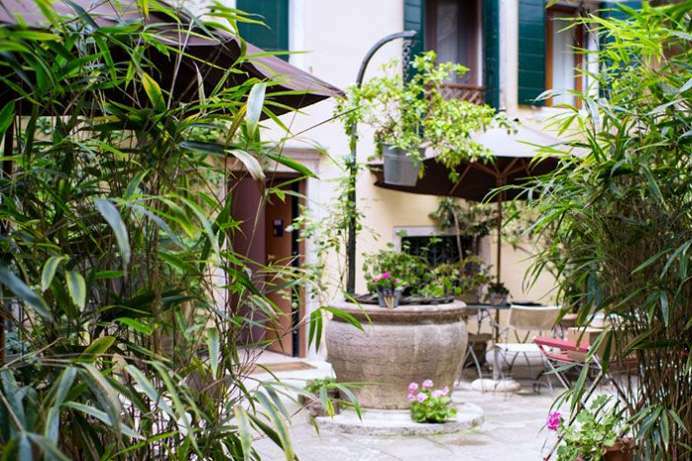 The idyllic, green inner courtyard with the ancient well was once open and led to the canal. Here you can enjoy breakfast in the morning or the peace and quiet, reviewing the impressions gained after a strenuous day of sightseeing. All major sites are within easy walking distance. The historical manor house sits in the medieval village of Cannobio, a resort on Lake Maggiore, a few kilometers south of the Swiss border. 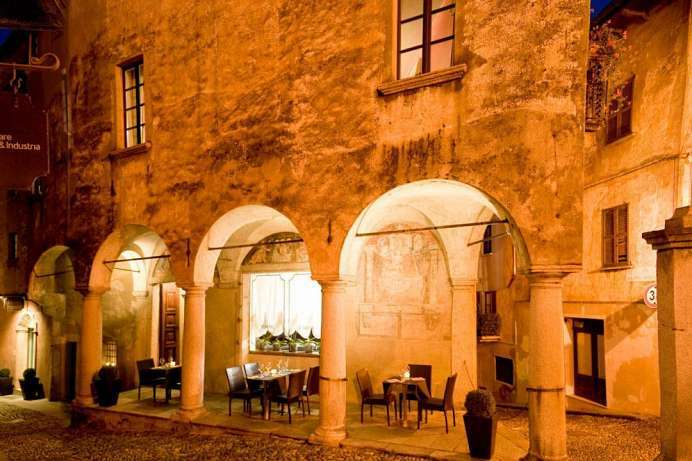 Following an extensive restoration it combines authentic medieval architecture with all the comforts of a modern hotel. Original frescoes, vaulted ceilings and massive century-old stone pillars are complemented by period furniture. The twelve rooms vary in color and decor. Some overlook the lake, others the car-free Old Town. The breakfast room seems to have emerged straight from the 18 century. The exclusive dining room on the first floor with an open fireplace provides the ideal setting for a relaxing evening over a glass or two of good wine. With an elevation of 2,005 meters, this pass connects the Rhône Valley in the Swiss canton of Wallis with the Val d'Ossola in the Italian province of Verbano-Cusio-Ossola. People have been using the pass since prehistoric times. It was even later used by Roman emperors. The influential merchant Kaspar von Stockalper built the first road here in the 17th century, which is now a hiking trail. The modern road through the pass follows Napoleon Bonaparte's route. At the top of the pass there is a hospice. Coming down the southern side, you will find the Mediterranean-looking town of Simplon and the the romantically wild Gondo Gorge with the majestic, glacier-covered Fletschhorn towering above it. Red and zebra is the surprisingly attractive colour combination that greets guests to this tastefully decorated hotel, in which every room is different, and every room features a carefully coordinated colour scheme. As guests will happily discover, the entire property has been thoughtfully designed to please the body and soul, from the gourmet restaurant in the warm, wood-panelled dining room to the full three levels of swimming pool and spa facilities. 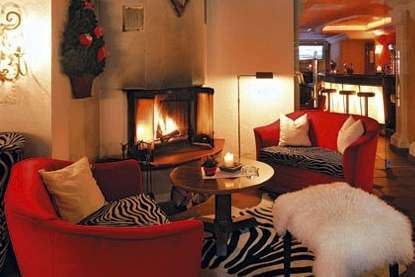 The extraordinary hotel endeavours to make a stay there an intrinsic part of the Zermatt experience. And it succeeds. 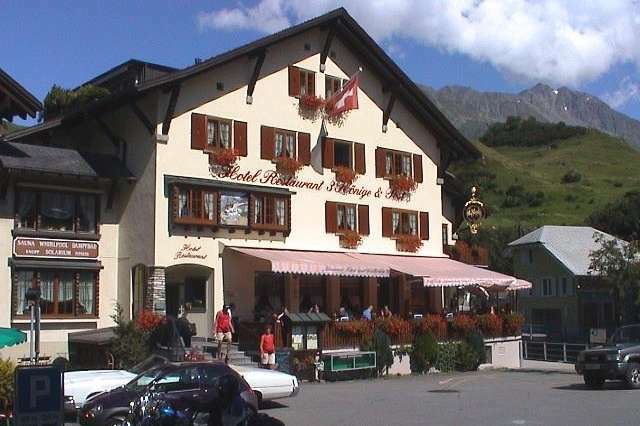 The family-run inn is ideally located on the shores of Lake Geneva. The interior of the 20 bedrooms is practical and comfortable. Guests can relax in the outdoor restaurant and enjoy the beautiful lakeside views, which are also offered by many of the bedrooms. The city centre of Lausanne is just a seven-minute walk away. The friendly hotel represents a rare find in this overly expensive city: A good value for the money. 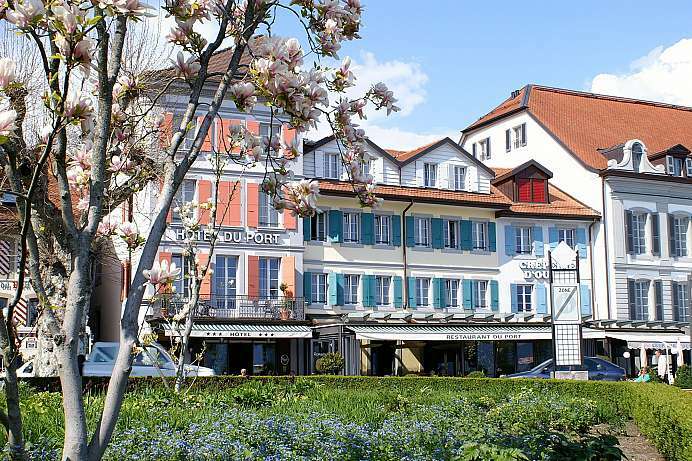 For the entire stay guests receive the Lausanne Transport Card. 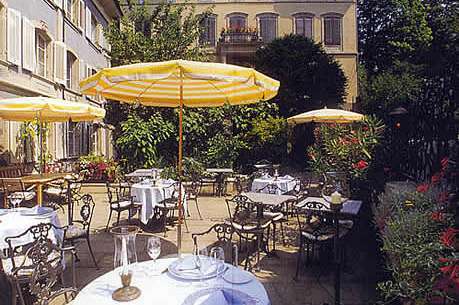 The small hotel in the centre of Zurich prides itself as an “oasis of tranquillity” in the heart of the city, and indeed the ability to relax in the secluded garden next to the Neptune fountain dating back to 1770 is one of the many features that set this property apart. The small hotel with 35 individually decorated bedrooms offers convenience and comfort on the highest level. Lovers of wine and gourmet cooking will appreciate the restaurant's market-fresh cuisine and exquisite wine cellar. The pleasant oasis in the bustling city is the ideal refuge after a hard day of sightseeing in the nearby Old Town. 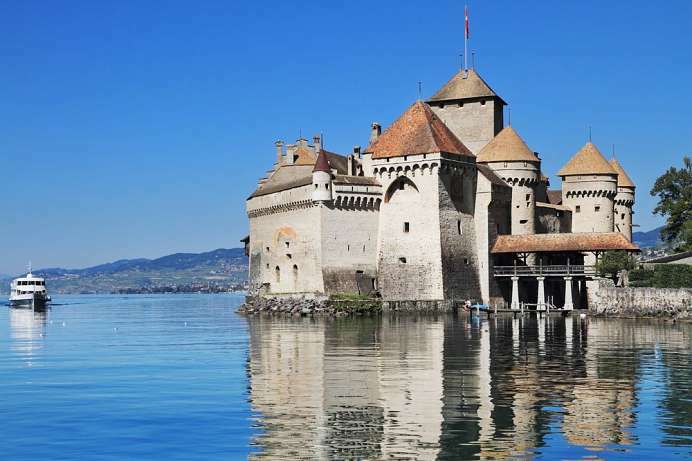 The city at the northern end of Lake Zurich began as a Roman settlement called Turicum. Zurich didn't become a free city until the 13th century, and shortly after that joined the newly established Swiss Confederation. The town's rise to prominence began during the era of Protestant reformer Ulrich Zwingli, who lived in Zurich from 1484 to 1531 and laid the foundation for the emergence of a Puritan-capitalistic culture. 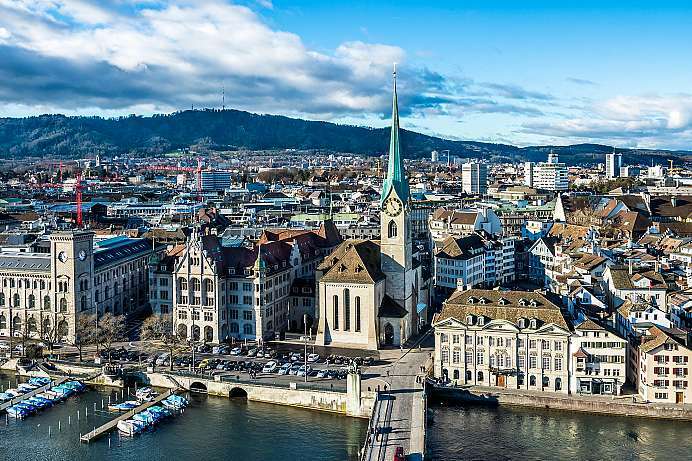 Today Zurich is one of the world's richest cities in terms of per capita income and its citizens enjoy the best quality of life in the world according to a survey conducted in 2007. Millionaires and billionaires from around the globe have established a residence in the city because of Swiss bank privacy laws and the country's low tax rate. Yet Zurich has much more to offer than secret bank accounts and low taxes: an attractive old town with chic cafés and bars, over 40 museums, and the famous Bahnhofsstrasse, one of the most elegant shopping avenues in Europe. The hotel is situated near the historical Devil's Bridge on what for centuries was the main trading route across the Alps. 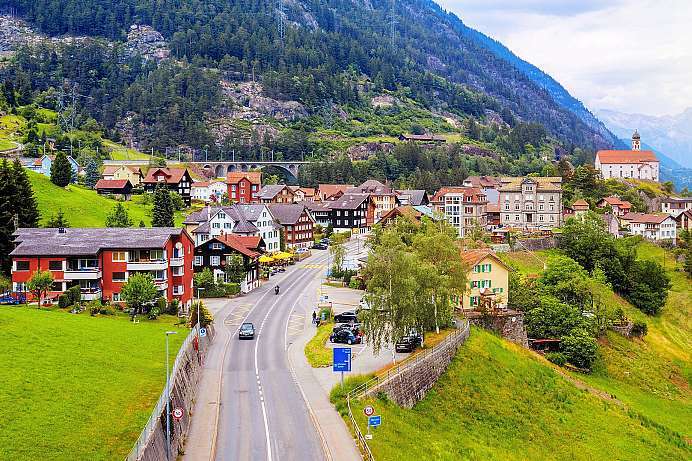 Since completion of the Gotthard Road Tunnel in 1980, however, it has grown nearly as quiet in these parts as it was when Goethe stayed in Andermatt on his way to Italy over 200 years ago. The bedrooms in the traditional Swiss hotel are bright and comfortable. Regional Swiss specialities are served in the wood-panelled dining room. Swiss hospitality near "Devil's Bridge"
Because of its warm climate, the southernmost canton of Switzerland is also called “sunroom”. Closed off to the north by the Gotthard massif, wine, figs, lemons and olives find perfect conditions over here. 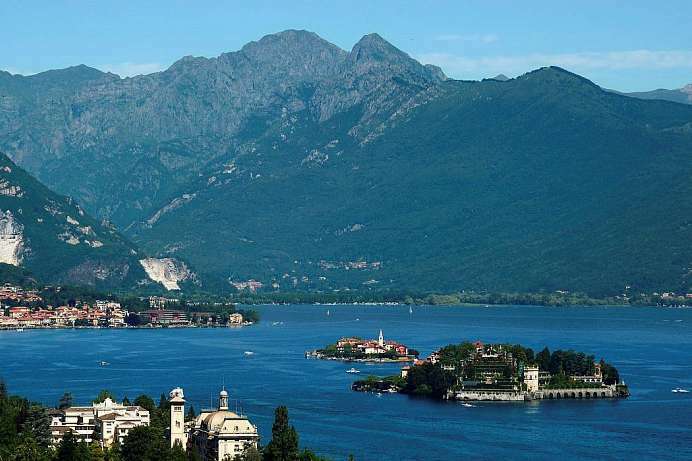 When after several waves of emigration Ticino was heavily depopulated in the early 20th century, painters, poets and anarchists tired of civilization discovered the paradisiac region around Lake Maggiore, among them Hermann Hesse. They were followed by tourists, attracted by the idyllic scenery and the 2,300 hours of sunshine a year. 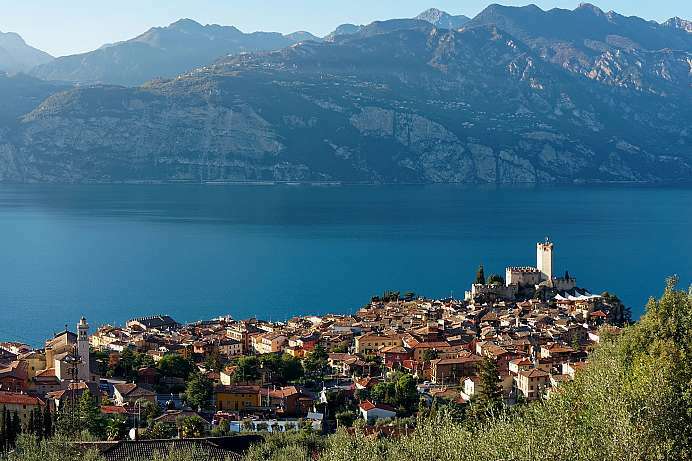 Around the Great Lakes lie the tourist centers of Ascona, Lugano and Locarno, which host several international music and film festivals. In a striking contrast to this rich and sophisticated holiday region are remote valleys such as Verzasca, Maggia- or Onsernone, whose wild chestnut forests, untamed rivers and magnificent rock formations are only accessible to hikers. Everywhere one comes across abandoned Rustici, stone houses built without mortar, which testify to narrow, squalid living conditions of previous generations in Ticino. 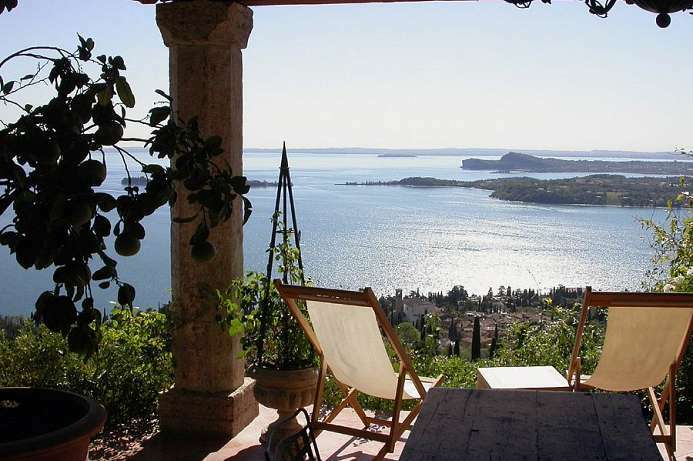 The villa is a renovated 15th century manor house set on the green hillside that slopes steeply down to Lake Garda. The sensational views will make your stay unforgettable. The well-appointed rooms contain a delicate blend of works of art and antique furniture. The stone house stands in a magnificent park where both body and mind can relax. The 80,000 square meter park contains lush vegetation, broken here and there by natural water falls and gently shaded paths. A succession of small clearings, fruit trees, ornamental shrubs, flowers and aromatic herb gardens conveys a sense of peace and well-being. We will inform Sunny Cars that your trip goes through Switzerland. Any fees which might incurre are payable directly at the location when hiring the car. In order to compensate part of the CO2 emissions caused by your travels, we raise a voluntary donation, which is being transfered in its entirety to the Klima-Kollekte GmbH in Berlin or Wildlands South Africa. If you wish to opt out of the Umfulana climate initiative, please note this on your booking form. The cost is per person based on two people sharing a double room and includes accommodation and meals per itinerary. You can start this tour on any date. Please call us if you would like to request a customized itinerary, book a tour or just ask quesitons about our range of services. Request a tailor-made tour proposal. Indicate your interests, desired destinations, travel period and budget. Our experienced staff will provide professional consulting and prepare a tailor-made proposal based on your specifications. To book a tour, simply fill out and submit the form. We will make all tour arrangements for you. After completion of the booking process, you will receive a confirmed itinerary. The complete travel documents will be forwarded to you on receipt of the remaining balance following payment of the deposit. We wish you a relaxing and memorable trip. Enjoy your holiday! We appreciate any feedback you wish to provide after completion of your tour. 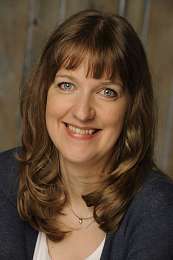 This helps us to continually improve our products and services. *) The price is per person based on two people sharing a double room. Prices may vary by season and due to differences in available services. All tours are sold in euros. Prices indicated in other currencies are for informational purposes only and may vary in accordance with changes in exchange rates.